Affinity Groups meet at KYC on a rotating schedule each month. within a mutually supportive space. Check the front page for the weekly schedule. Contact us liam@kycohio.org or call (614)294-5437 to express interest in attending an Affinity Group. Are you trans? Gender non-conforming? Genderqueer? Gender-bending? Questioning your gender? Do you feel like the labels don't fit? This conversation space is for you! This group meets every Tuesday from 7:00-8:30pm and Thursdays from 5:30-7pm. Supporting families supporting trans youth. Follow the Facebook Group! 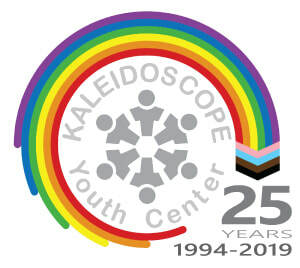 This group meets every Tuesday from 7:00-8:30pm at the same time as Genderscope. For any young person who identifies on or who are questioning the asexual or aromantic spectrums. For any young person who identifies as queer, bisexual, polysexual or pansexual or who are questioning their identities. For queer or questioning youth of color. For any young person who identifies as lesbian or who are questioning their identities. For any young person who identifies as a guy who likes guys or for those who are questioning their identities.